Welcome to the website of the Ortoleva Research Group. Our activities focus on research and education regarding the structure and function of living and non-living materials at atomic to micron scales. We are developing the mathematical and computational methods needed to understand the physics and chemistry of these systems. Systems of interest include viruses, nanomedical devices, quantum nanosystems and microscopically structured materials. Applications range from the design of vaccines, nanocapsule drug delivery systems, to nanostructured materials with prescribed strength and electronic properties. Techniques used range from multiscale molecular and quantum dynamical systems analysis and physics-based informatics. Participating students have interest in medical and material sciences and are at the high school to postdoctoral stage in their careers. For more information on education and training, send any inquiries to Prof. Ortoleva. Peter J. Ortoleva is Distinguished Professor of Chemistry and Director of the Center. He received his PhD in Applied Theoretical Physics from Cornell University. 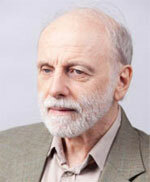 He has over 240 peer-reviewed journal publications, three monographs, and three edited volumes. His research interests span self-organization theory, computational and theoretical nanoscience, and computer-aided nanomedical systems design. Approaches used include statistical mechanics, finite element modeling, bifurcation theory, and a variety of multiscale mathematical methods.